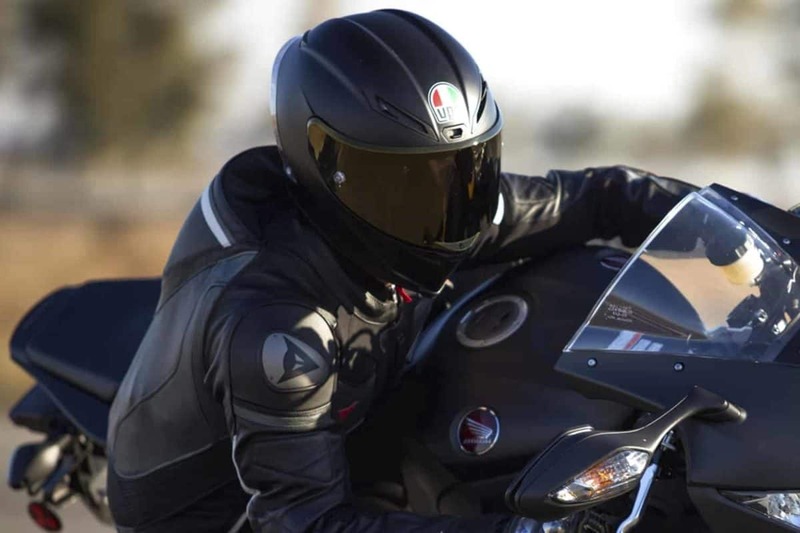 Motorcycle Helmet Sizing: How to buy the right Helmet for your Head Size and Shape? The size of the helmet is one of the most important things to look at when buying one. If you’re not willing to wear a size larger or smaller when it comes to your clothing, you also won’t be able to accept a helmet that is too tight or too loose, not only because this is uncomfortable, but it is also considered unsafe. This is unsafe because the helmet won’t sit snugly onto your head. 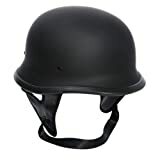 If there are any major impacts, the helmet may not protect your head well because it can be thrown off in case it is too loose or it can pop off if it is too tight. You definitely should take some time trying and testing helmets to be able to get the one that fits you best. If you are a first time buyer and you aren’t sure of how to find the right helmet for your head size and shape, fret not as this guide will explain you how to do so. This way, you’ll be prepared when you finally go for helmet shopping. How to know your head shape for motorcycle helmet sizing? Long Oval – This is a head shape wherein the dimensions of the head is long from front to back compared to the measurement from side to side. Intermediate Oval – This measurement is for heads that has slightly long dimensions from front to back compared to side to side. Round Oval – This is a head shape that has equal or almost equal measurements of front to back with side to side. Most helmets are created with a round oval shape, especially modular helmets (flip-face) because of the hinge mechanism. However, many manufacturers nowadays create helmets in different sizes to cater to more riders as the demand has increased each year. Optical quality plastic lenses are scratch resistant.The helmet is really comfortable while riding and it features an adjustable chin strap. Key Takeaway: Make sure to get a helmet that rightly fits the shape of your head. Otherwise, it will cause pressure either to your forehead if it is too round or the sides of your head if it is too oval. Before committing to buy the helmet of your choice, try wearing it around the store first and try to feel if there are any pressure points. You can easily feel it, especially if worn over time. 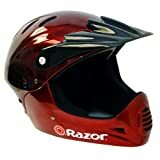 How to know your head size for motorcycle helmet? If you have figured out your head shape, now it’s time to check your head size. This is actually the main point where helmets differ as many of them come in varying sizes, beginning from extra small to extra large. Each brand or manufacturer has different dimensions when it comes to their sizes, albeit slightly, but still worth checking before purchasing. A slightly different method from getting the measurement of your head shape will be done when getting the head size. Get a tape measure and measure from the top of your eyebrows around the thickest point in the back. Get the circumference (usually in centimeters) and compare it to the size chart of any helmet. Once you’ve measured your head size and tried on a few helmets that correspond to your measurements, don’t purchase it just yet. As mentioned, try to wear it for a few minutes and try to shake your head a little bit. There shouldn’t be any pressure points anywhere in the head and there shouldn’t be big movements either. Key Takeaway: A correct sized helmet should move only very slightly, so as to give you more comfort when worn. It should not squeeze your head and cheeks either but will pull the skin on your scalp or your cheeks a little bit, which prevents rotation. How to adjust the fit of your motorcycle helmet? If you are in doubt about the size of your helmet and you can’t seem to find the perfect fit, go for the one closest to your size that is slightly bigger. Definitely don’t pick the tight ones, as they can really be uncomfortable when worn for hours at a time. Slightly large helmets can be remedied through the use of replaceable cheek pads that allow for adjustment in the interior. Get a motorcycle helmet wherein you can take out the lining and cheek pads so you can replace it with a slightly bigger one in case it is a bit too big. There are also helmets that allow custom inflation of the cheek pads. Make sure that the fit of your motorcycle is snug – not too tight and not to loose. It should sit right on your head and despite the weight; it should make you feel comfortable. Just a note, if you do any alterations with your motorcycle helmet, such as changing the pads around, it may result to loss of warranty. Wearing helmets when riding a motorcycle is government imposed and everyone should follow it not only because you can be fined if you didn’t but it also keeps harm at bay. The helmet with the right size and shape can greatly protect your head from major injuries, especially after strong impacts.